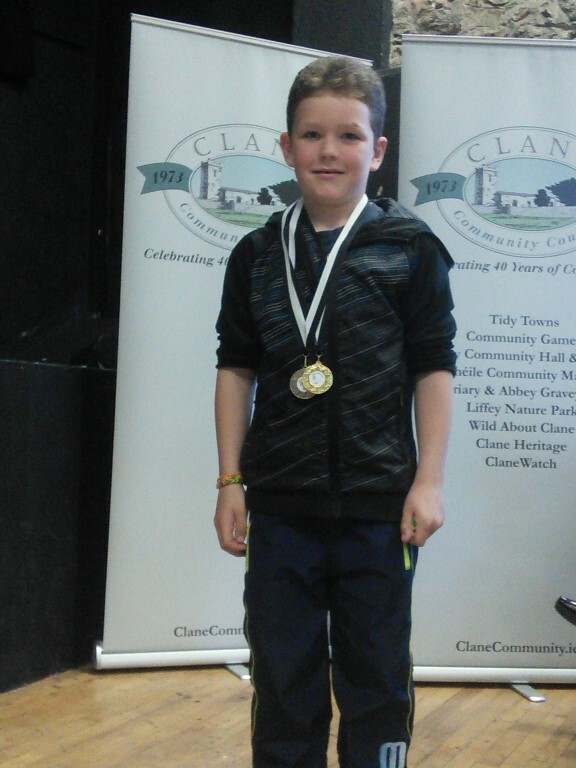 The wonderful achievements of local resident’s associations, businesses and young athletes were all recognised at the annual Community Awards Night held in Manzor’s The Village Inn on Friday October 30th. 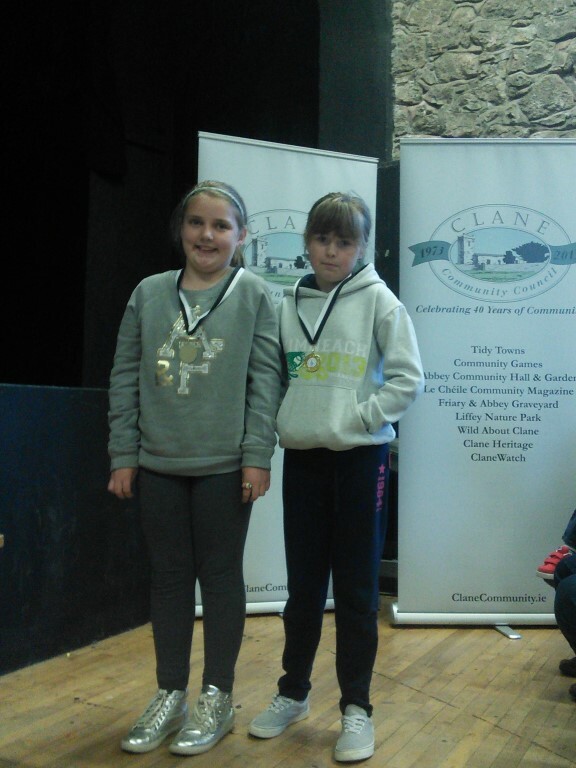 The winners of this year’s Clane Tidy Towns Best Kept Estates and Best Presented Premises competitions were also revealed. 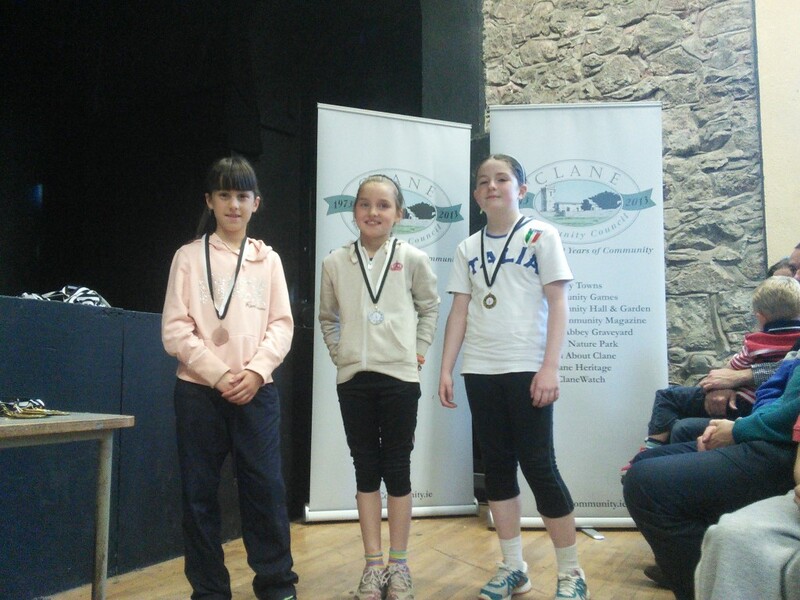 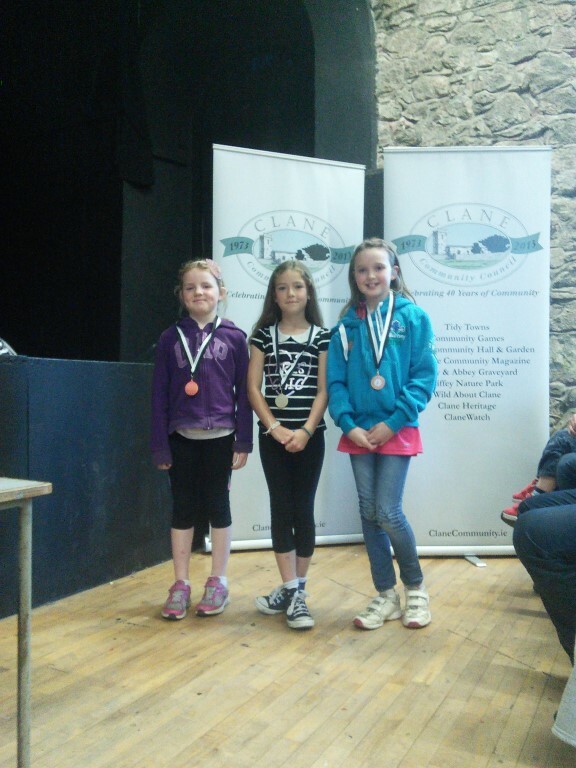 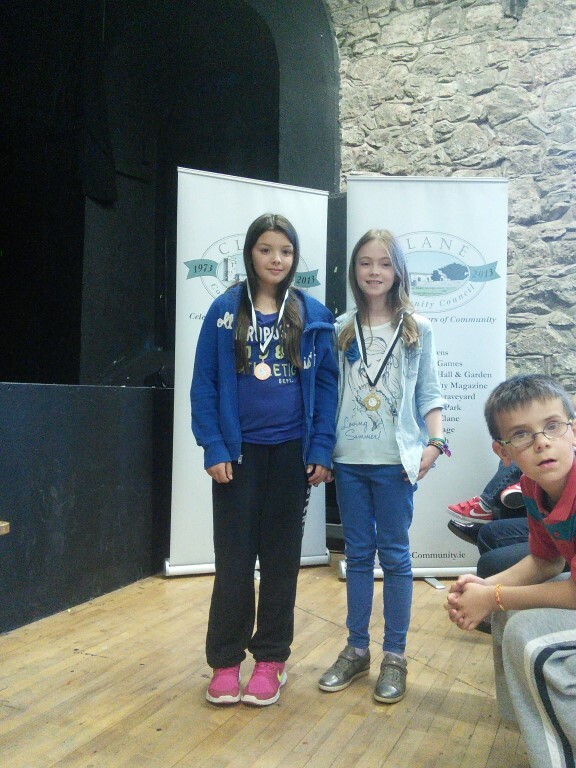 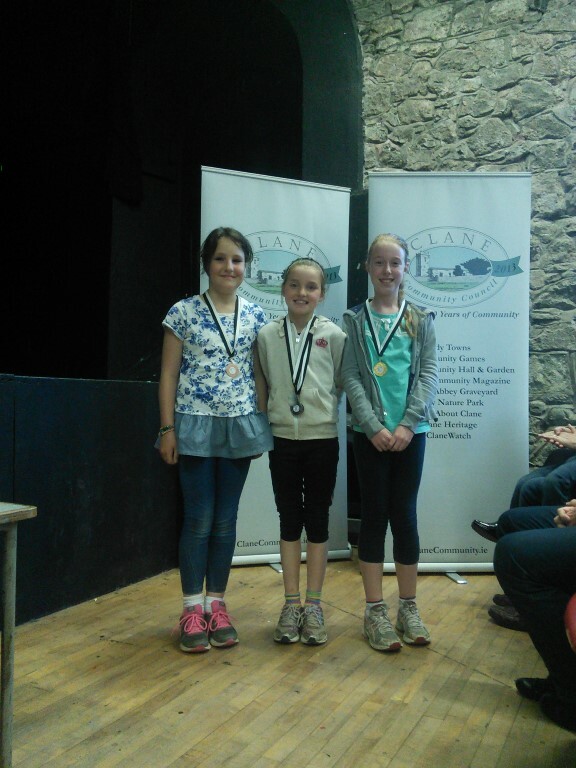 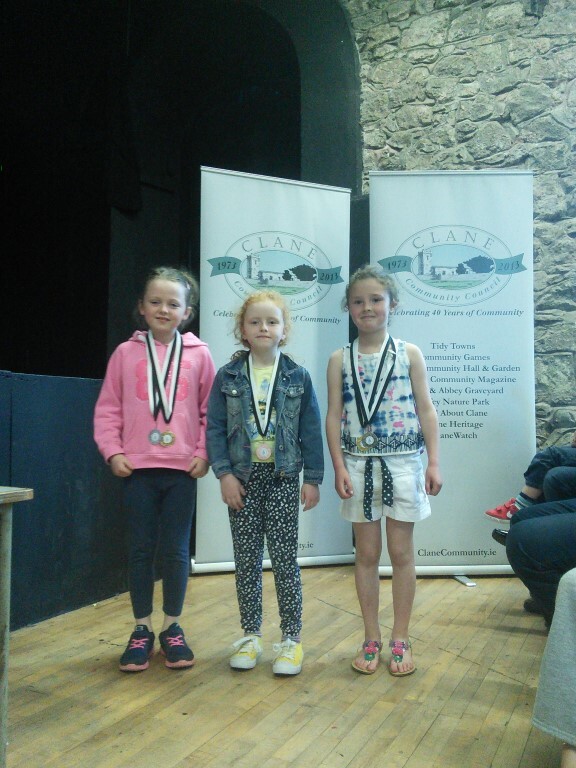 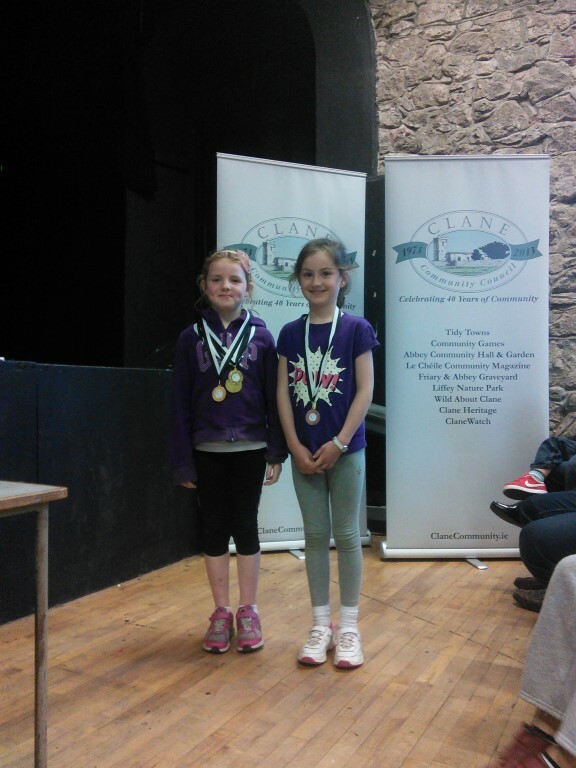 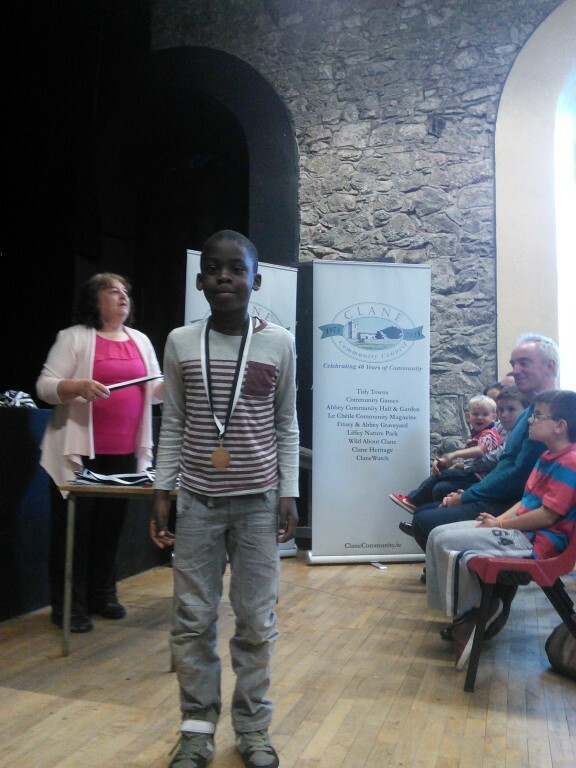 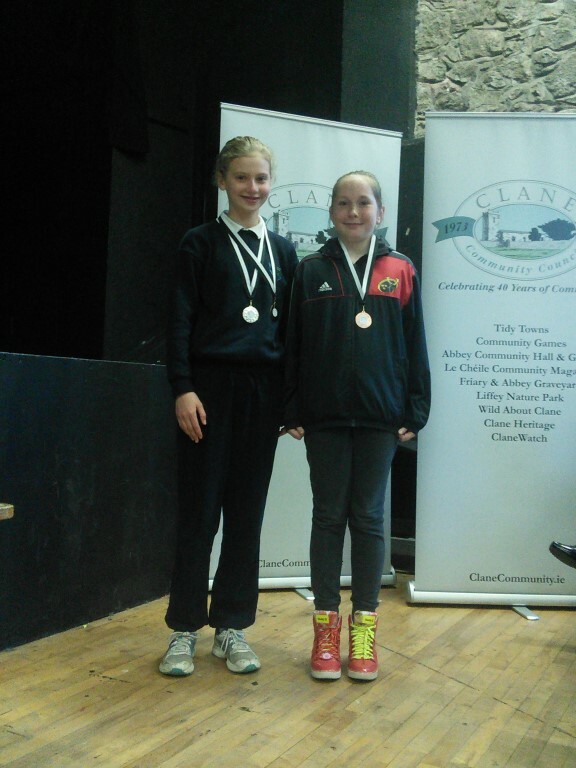 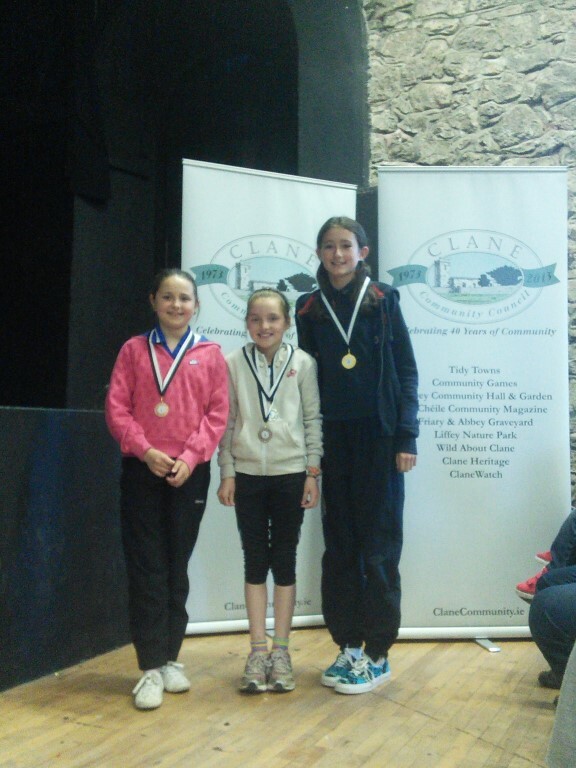 First up were those young athletes who were awarded medals at the All-Ireland Community Games championships held during the summer. 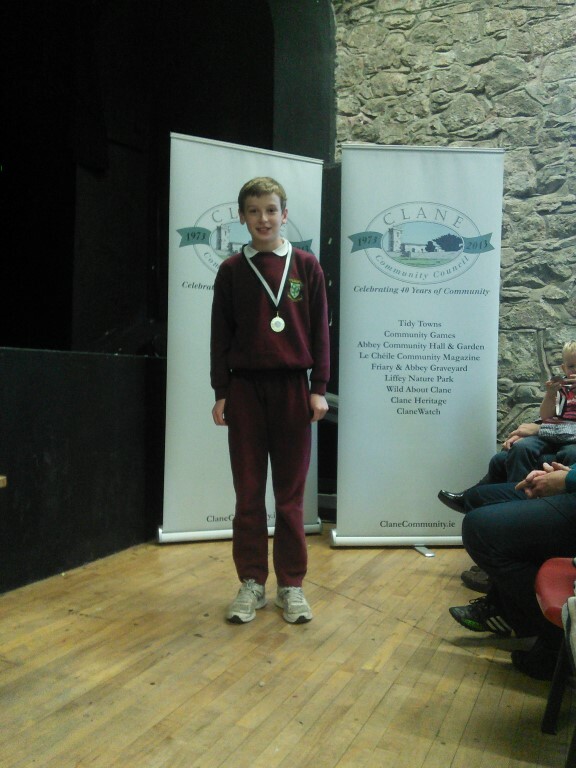 Matthew Walsh-Hussey was recognised for being awarded the silver medal for Under 12 Freestyle Swimming. 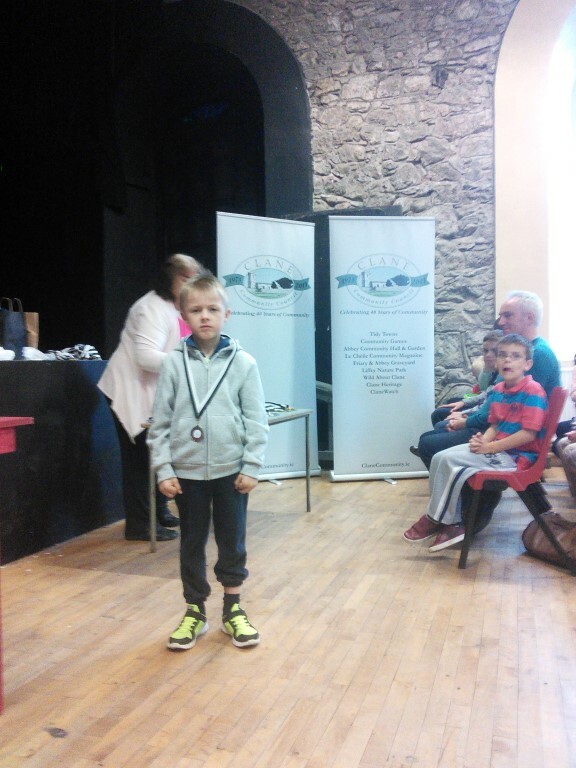 He was carefully coached by Susan Galbraith, with the help also of Agnes McGuire, and Michelle and Paul McLoughlin. 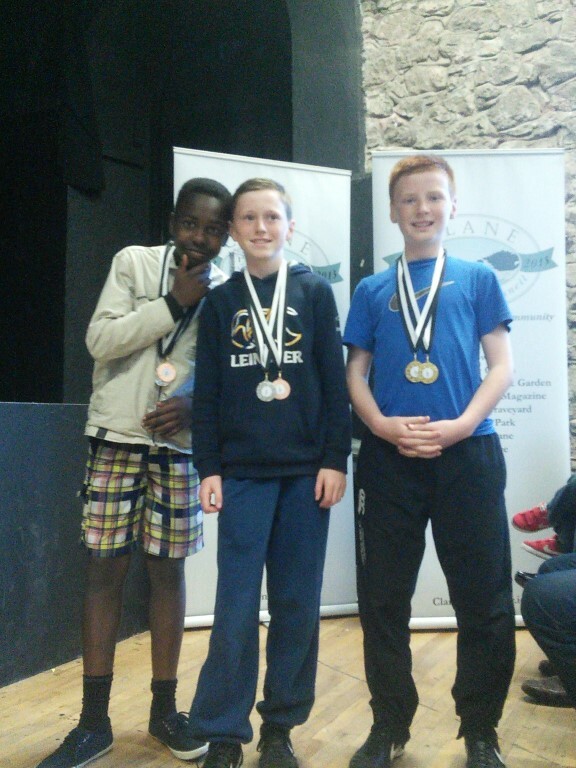 Clane’s under 12 soccer team also made it all the way to All-Ireland medals – they secured the bronze in their competition. 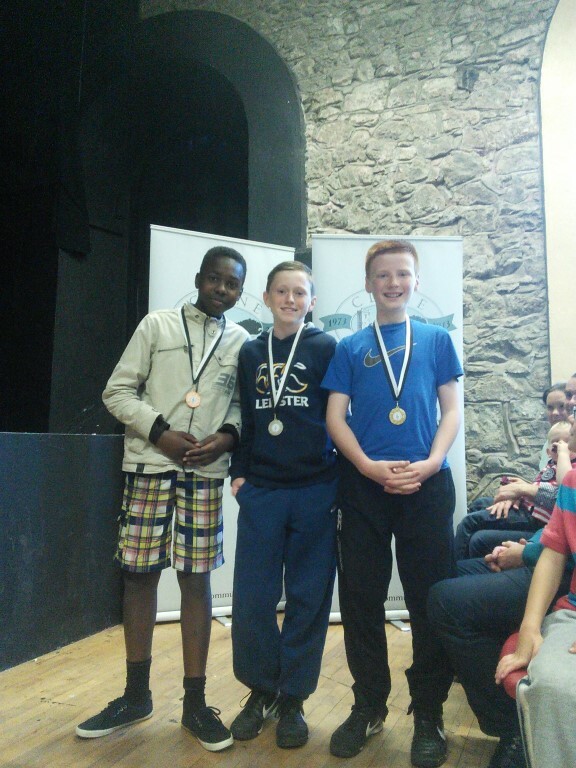 The team consisted of Cormac Bradley, Sean Sheridan, Cian Dowling, Arran Wosser, Christopher Part, Ethan Farrell, David O’Beirne, Mark Gibbons, Eoin Geraghty, Dean Comiskey, Sean Uzamah, Darren Ward, Tom Nolan, Isac Jamirah, John Fitzsimons and Ben Kirwan. 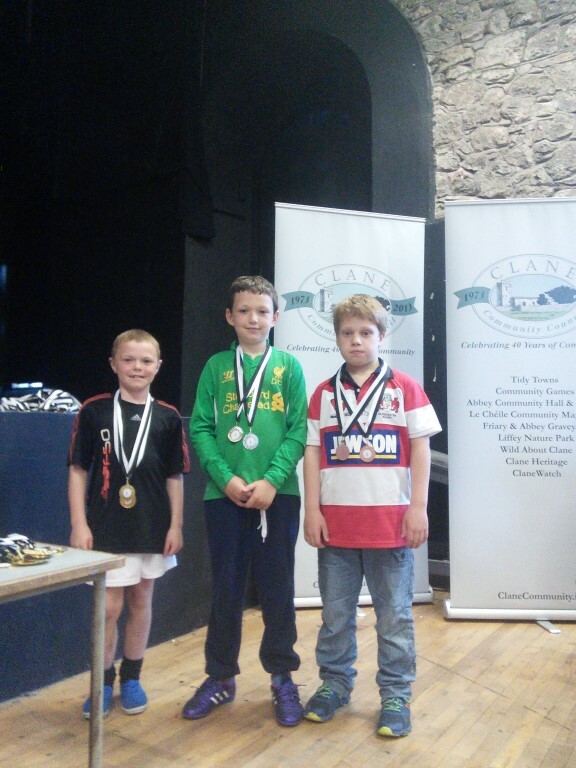 They were lead by the hard-working management team of Peter Kirwan, Derek Sheridan and Aaron Kirwan. 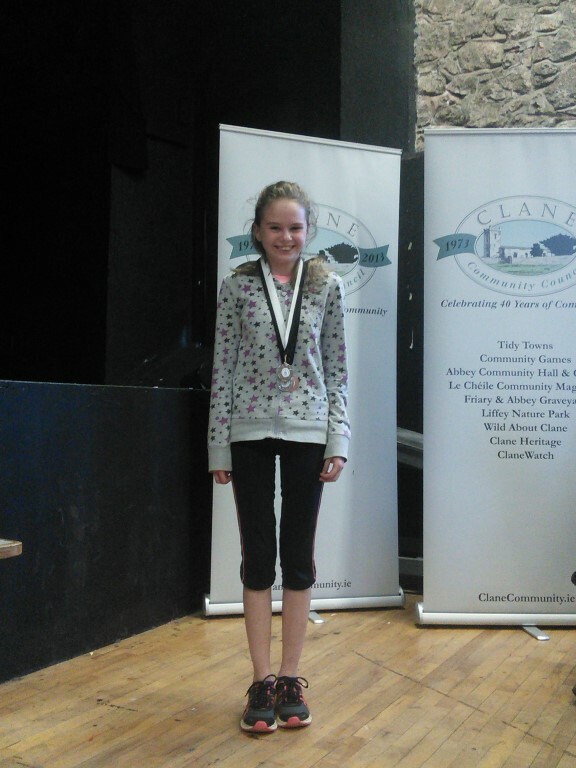 Martina Healy, who coordinates all Clane & Rathcoffey Community Games activities, was also recognised on the night for all her hard work through out the year. 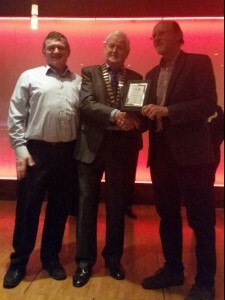 Moving on the the Tidy Towns portion of the evening, Chairman of Clane Community Council Des Drumm thanked the Tidy Towns committee for their hard work during the year, and congratulated them on gaining 4 extra points for the village, and retaining the bronze medal, in the national competition. 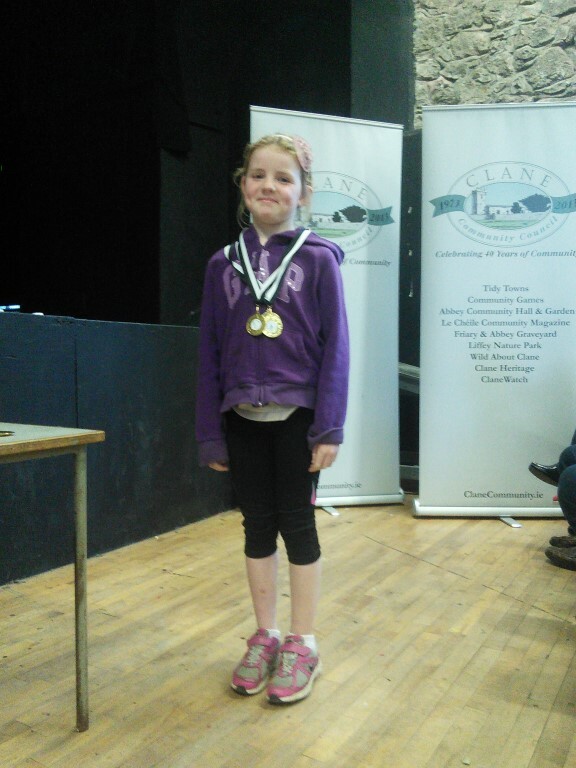 Chairperson of Clane Tidy Towns Helen O’Flaherty then thanked the many individuals, businesses, community organisations and resident’s associations that had contributed so generously to Clane’s Tidy Towns efforts in 2015. 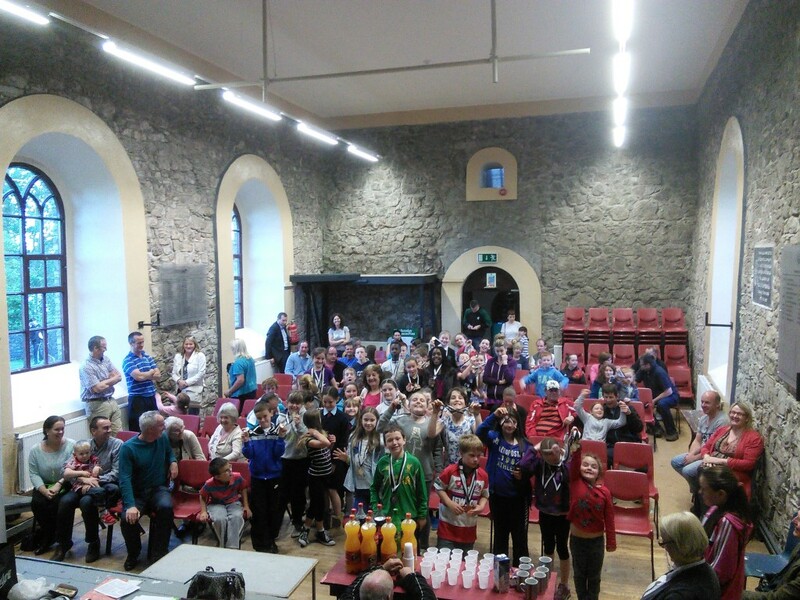 A big thanks to all who helped out on the night, and in all the activities throughout the year. 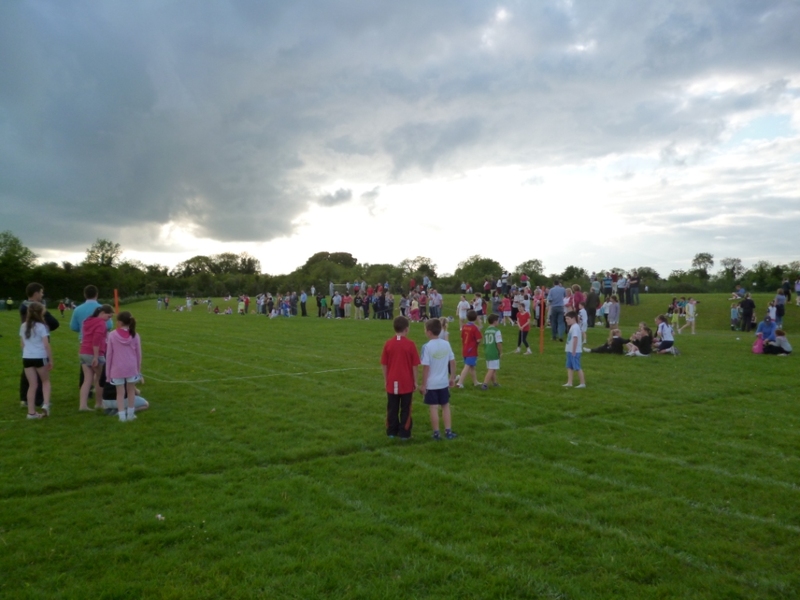 Clane Tidy Towns and Clane & Rathcoffey Community Games wish you a well-deserved relaxing few months, and look forward to your continued support in the years ahead. 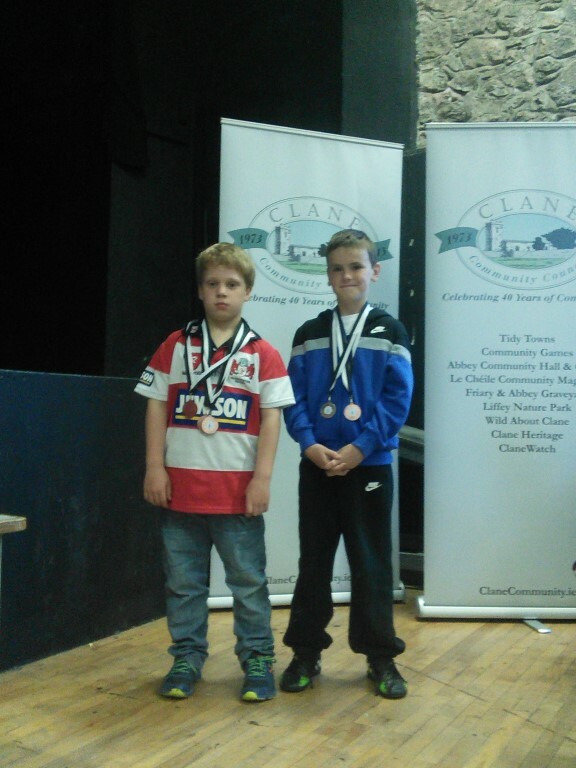 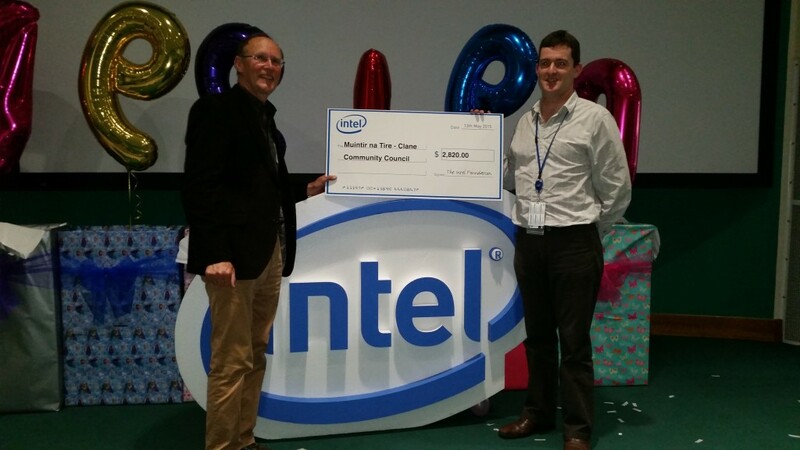 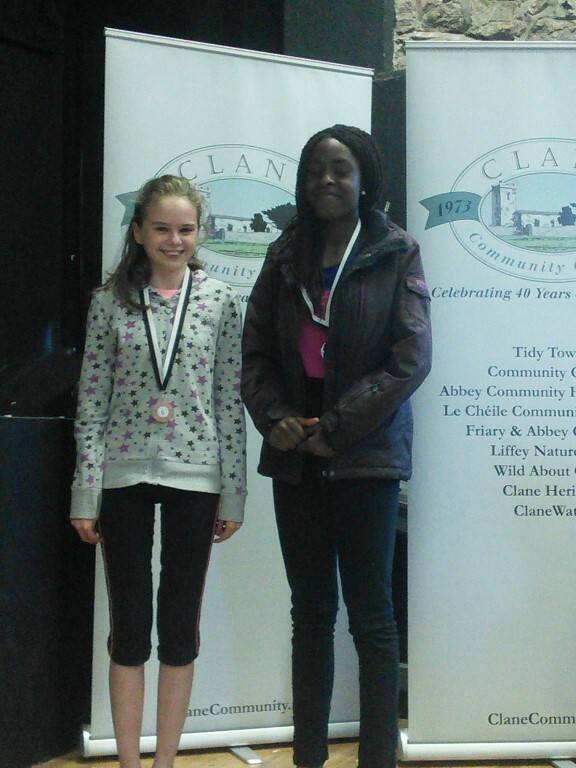 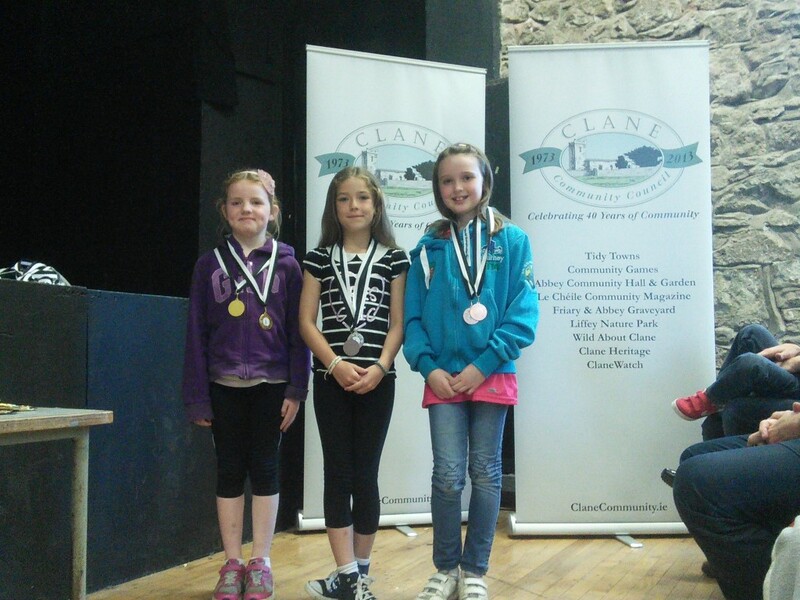 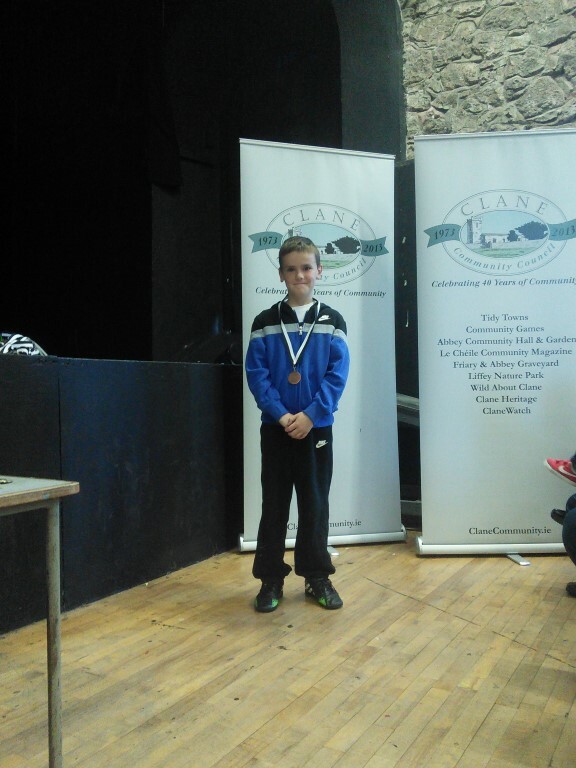 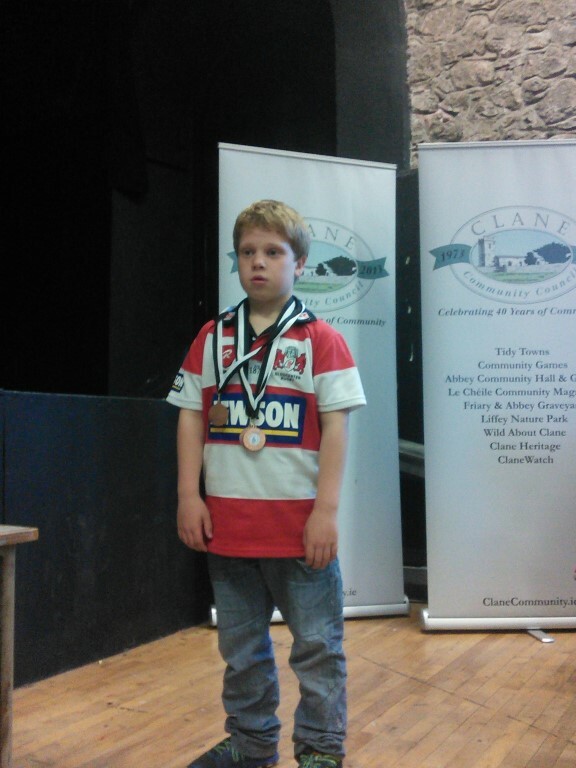 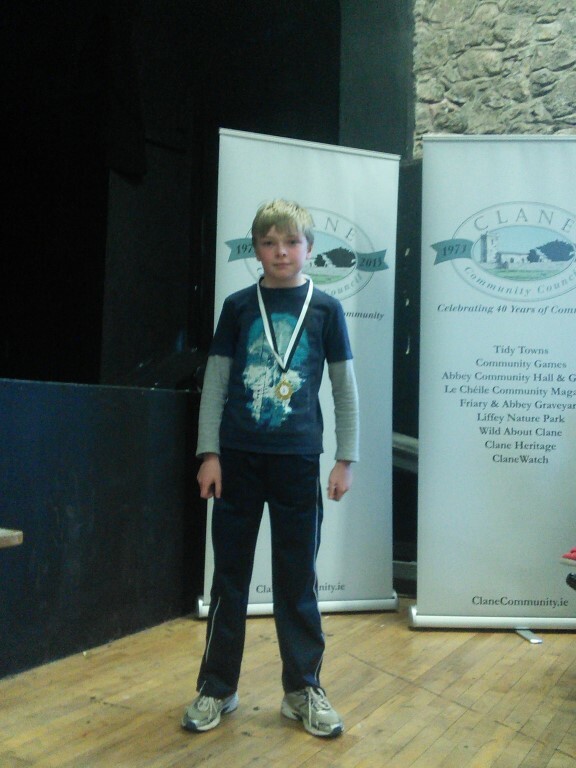 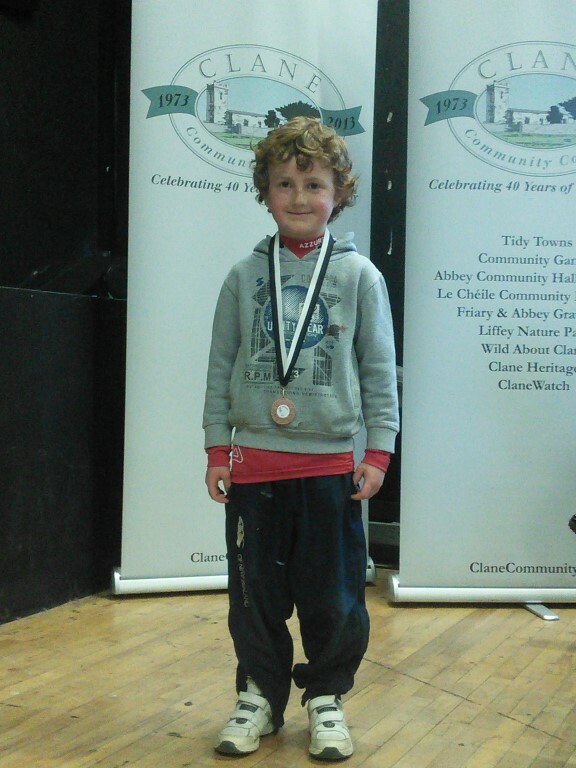 This entry was posted in Clane Community Council, Community Games, Tidy Towns on November 1, 2015 by admin. 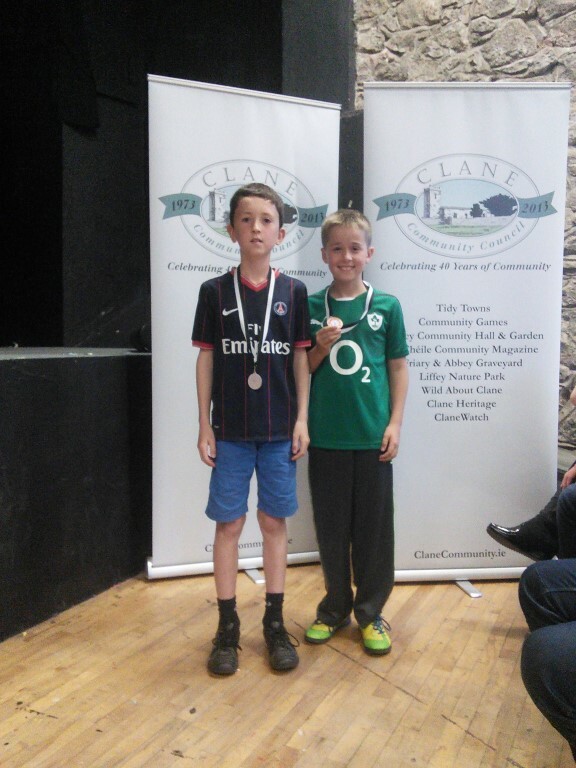 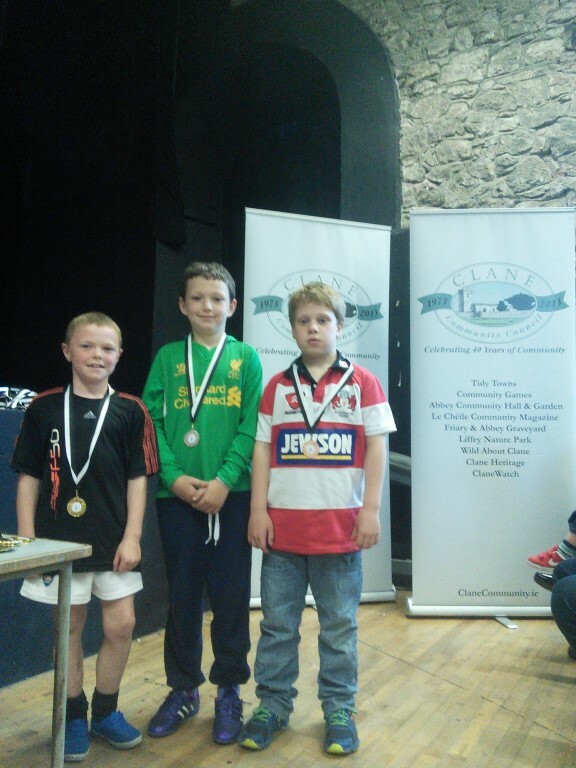 Clane’s Community Games endeavours lasted all the way to the national finals in Athlone this year as our Mixed Under 10 Gaelic Football team made it all the way to the finals…and won…becoming All Ireland Champions! Most of the winning panel made it to the award ceremony and were presented with a little memento of the occasion. 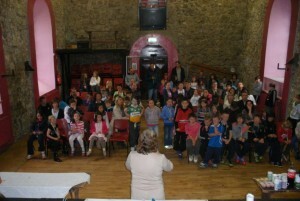 The full panel included Ronan Murphy, Dean Cumiskey, Oisin O’Sullivan, Seán Sheridan, Micheál O’Connor, Ben Kirwan, Matthew Walsh-Hussey, Ethan Farrell, Holly Farrell, Leah Feane, Patrick McNally, Rebecca Lynch, Rosemary Ennis, Daire Doherty, James Ball, Christopher Part, Laoise Gillman, Sean Finnerty and Sean Tighe. 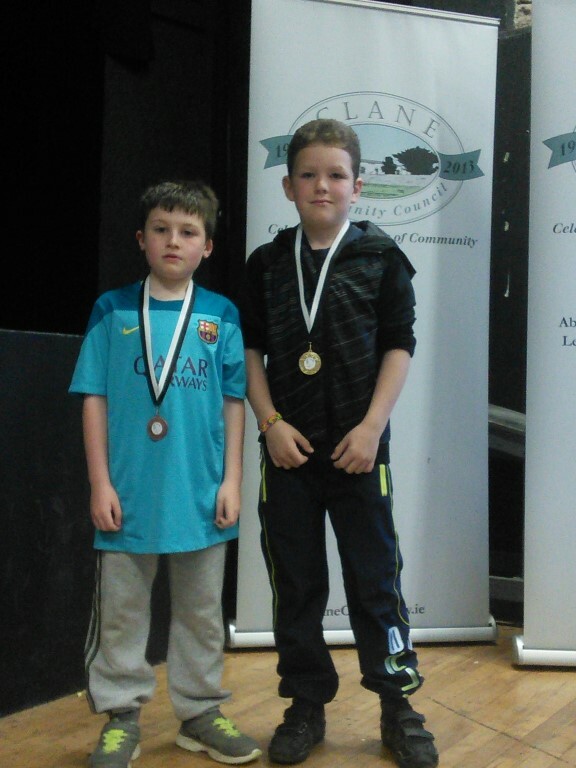 The squad were carefully and expertly coached and managed by a team consisting of Ray Kiernan, John Doherty, David Farrell and Jill Gillman, all of whom were thanked for the time and effort they put into the panel. 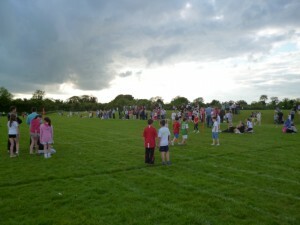 Of course the team could not have progressed without physically getting to the various matches, and so for their generous financial support which enabled coach hire, local businesses P.D.M., Cooney Electronics, XL Tools Leixlip, David Lowe and Co. Ltd. – Greg Hopkins, Paul McCormack – McCormack Hooper Dolan, and Robert Massey – Bostik Ltd. were all thanked. 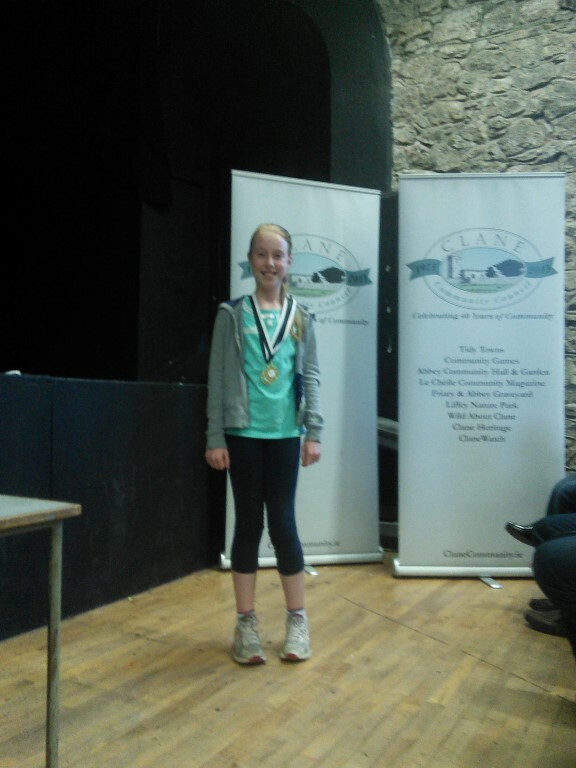 A special presentation was also made to the wonderful Martina Healy for her leadership and dedication to Clane and Rathcoffey Community Games. 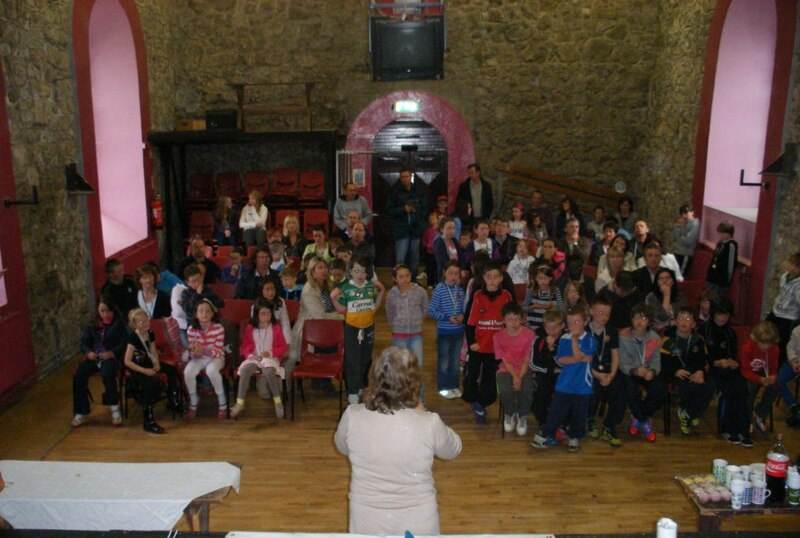 So many of the children of Clane have enjoyed Community Games over the years thanks to her hard work, and the work of her enthusiastic committee. 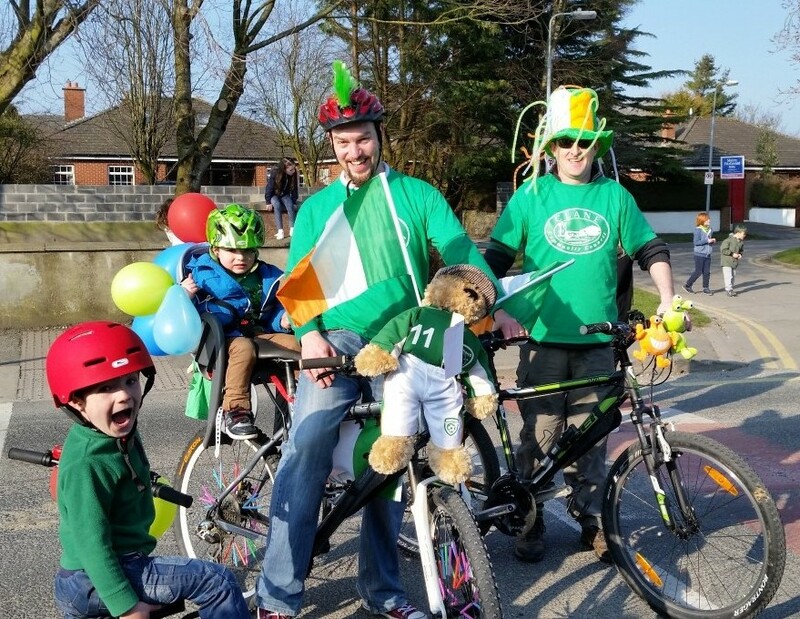 Congratulations to all involved and here’s looking forward to our All Ireland champions achieving even greater successes in the years to come. 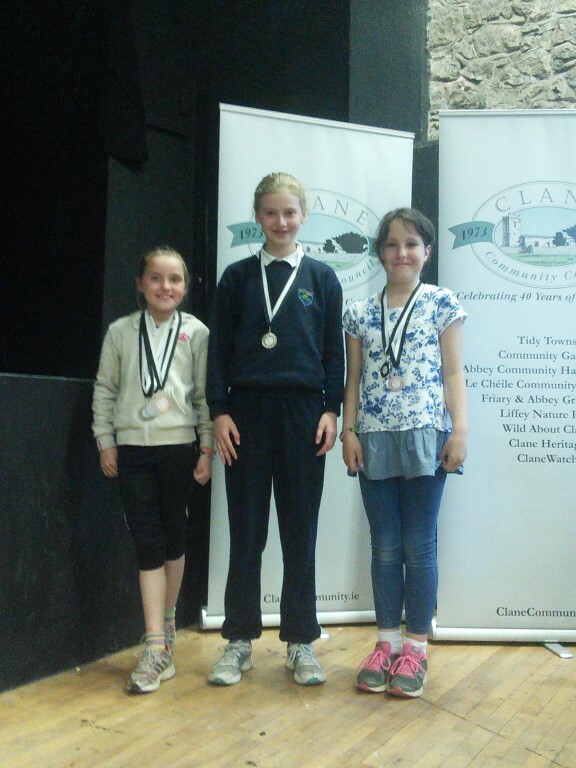 Clane Tidy Towns achievements were also celebrated on the evening. 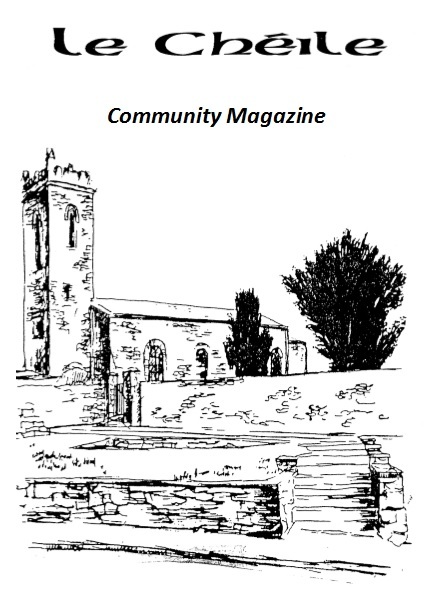 The chairman of Clane Community Council, John Kennedy, thanked the residents, the businesses, the churches, the schools, the scouts, the individuals and in particular the hardworking Committee of Clane Tidy Towns for helping Clane look so well this year, progressing even further in the national Tidy Towns competition than before, this year reaching top of it’s class in Kildare. 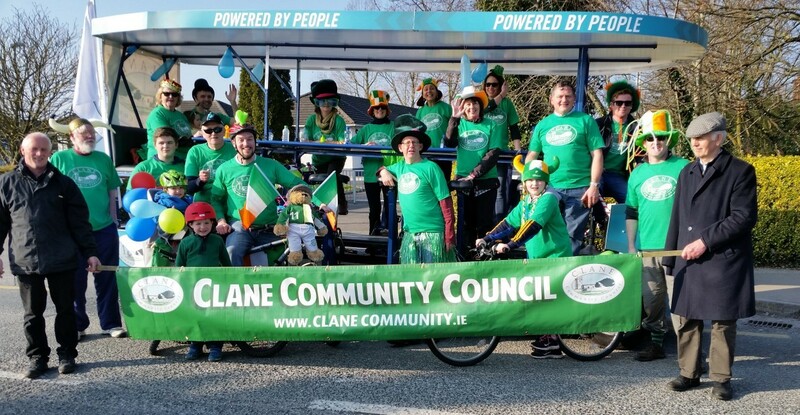 Although not every estate could receive an award, no estate went home empty handed as Clane Tidy Towns had organised for a Nest Box and a bag of spring bulbs to be presented to each estate as a thank you for participating the competition. 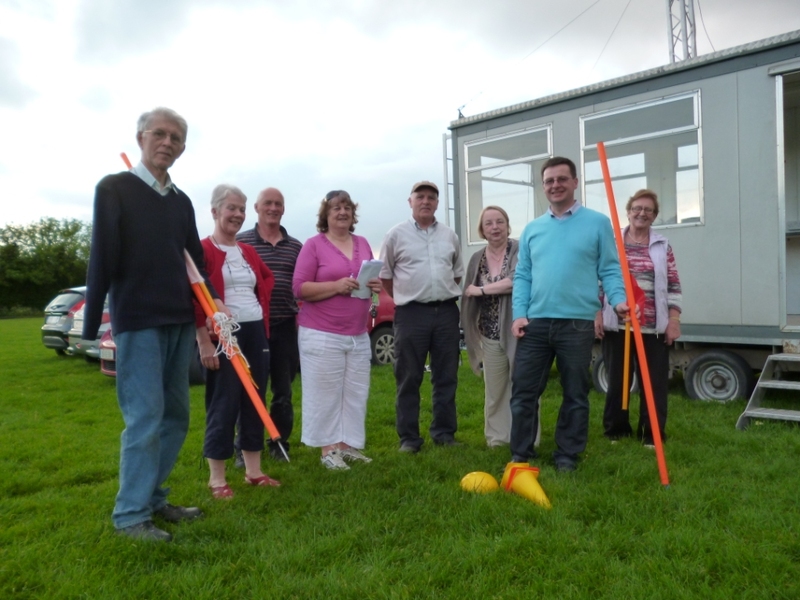 The Tidy Towns committee passed on a sincere thank you to everyone who helped out in Clane Tidy Towns activities in 2013 in any way – and encouraged anyone with any suggestions for improvements in 2014 to get in touch with any of them at any time. 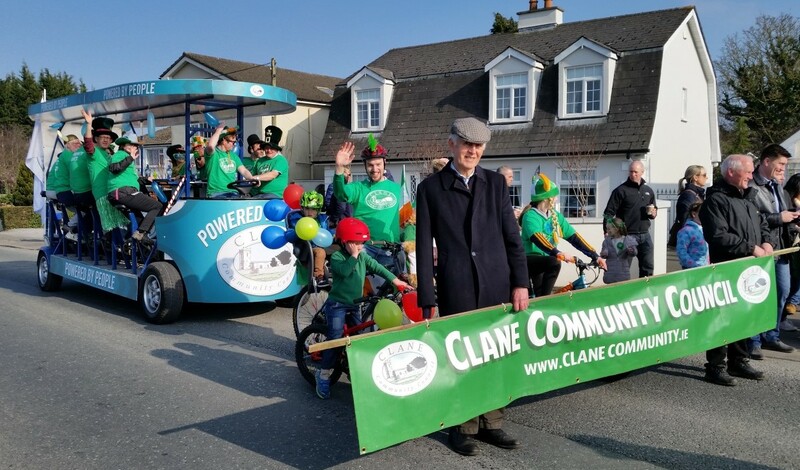 Indeed – there is a great opportunity coming up this November 8th to meet with the Tidy Towns team: they are hosting a table quiz in Manzor’s on Friday evening in support of Clane Tidy Towns activities. 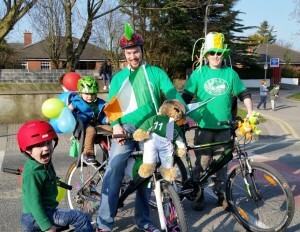 Tables of four costing €40 with kick off at 9pm. 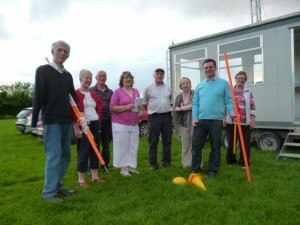 Why not enter a team and help close off the Tidy Towns year with some fun! 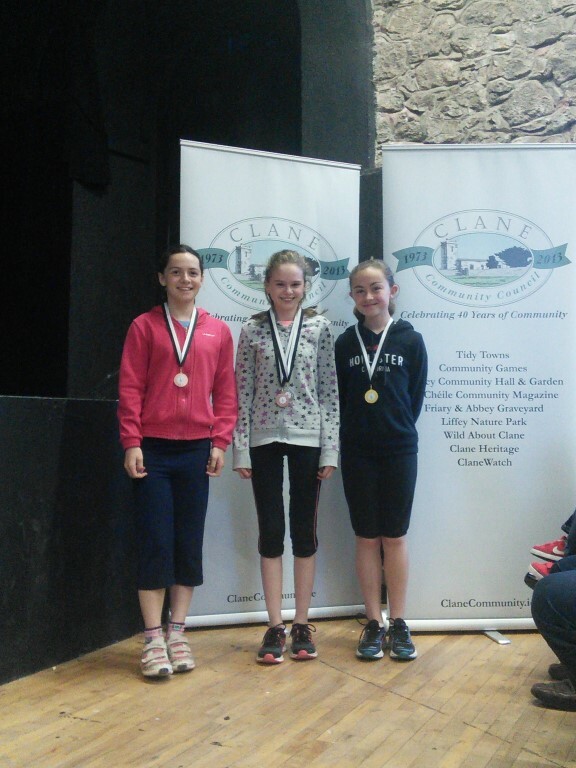 This entry was posted in Clane Community Council, Community Games, Tidy Towns and tagged awards, Clane on October 24, 2013 by admin.